The advent of October brings fond memories of the Autumn season. People look forward to that time of pumpkin spice lattes, apple cider, harvest season, hayrides, Halloween exhibits, brisk morning jogs, the beauty of Fall foliage, and other sensual delights. Last year, I practiced pharmacy about 45 minutes north of Harrisburg, PA; although I didn’t enjoy my one-hour one-way commutes, the optical beauty of driving along Route 322 North at the break of dawn made the travelling worth it. Additionally, the month of October is commensurate to celiac disease awareness, breast cancer awareness, and American Pharmacists month. As a pharmacist, it is my joy and responsibility to sanctify October to endorse the profession of pharmacy; for California Pharmacists, however, their recent success with SB 493 passing gives them one major reason to celebrate. With that, however, I initially responded to the jubilation with skepticism; consequently, I analyzed the actual text of the California Senate bill to determine how beneficial this legislature would be for pharmacists. By the end of this article, I want to equip you with the provisions instated due to SB 493, thereby making you aware of the importance of this bill, foster your professional viewpoint, and generate discussion with other pharmacists and citizens within your community and nation. Based on the Pharmacy Practice Law, this bill “would authorize a pharmacist to administer drugs and biological products that have been ordered by a prescriber. The bill would authorize pharmacists to perform other functions, including, among other things, to furnish self-administered hormonal contraceptives, nicotine replacement products, and prescription medications not requiring a diagnosis that are recommended for international travelers, as specified. Additionally, the bill would authorize pharmacists to order and interpret tests for the purpose of monitoring and managing the efficacy and toxicity of drug therapies, and to independently initiate and administer routine vaccinations, as specified. This bill also would establish board recognition for an advanced practice pharmacist, as defined, would specify the criteria for that recognition, and would specify additional functions that may be performed by an advanced practice pharmacist, including, among other things, performing patient assessments, and certain other functions, as specified. 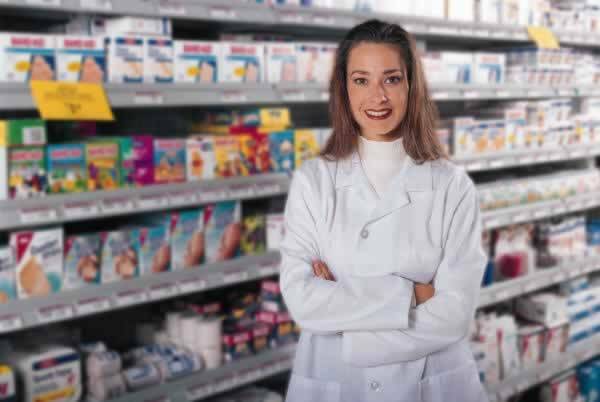 The bill would authorize the board, by regulation, to set the fee for the issuance and renewal of advanced practice pharmacist recognition at the reasonable cost of regulating advanced practice pharmacists pursuant to these provisions, not to exceed $300” (SB 493). So what does this mean? In order to truly comprehend the impact of this bill, allow me to break down each clause. But before describing each section, I want to make this disclaimer to prevent you from falling in the same trap I fell into: SB 493 is better described as additions and revisions to California’s Pharmacy Law, rather than a new law introduced altogether. One major triumph includes Legislature declaring California pharmacists as “health care providers who have the authority to provide health care services” (S.B. 493 §4050(c), 2013). With the California Pharmacists Association (CPhA) and the California Society of Health-System Pharmacists (CSHP) endorsing the profession of pharmacy and the benefits of including pharmacists as health care providers, pharmacists can now provide services in addition to clinical advice, information, or patient consultation to patients about drug therapy, disease management, and disease prevention. With this provision approved, patients have increased accessibility to one of the most qualified and trusted health care professionals: pharmacists. Services pharmacists can provide include administration of any prescribed drug and biologic product, medication therapy management of chronic disease states ranging from hypertension to osteoporosis, and other services. In an institutional setting, pharmacists can now impart their medication expertise by participating in multidisciplinary reviews of patient progress. Based on §4050(a)(10) from S.B. 493, insofar as the patient’s primary care physician is notified, pharmacists can now provide: emergency contraception drug therapy and self-administered hormonal contraceptives; nicotine replacement products; and prescription medications not requiring diagnosis that are recommended by CDC for individuals traveling outside of US. Pharmacy Practice Law further elaborates on self-administered hormonal contraceptives and nicotine replacement products; for recommended prescription medications for international travelers, however, there are no further details mentioned. Section 4052.3 originally included only emergency contraception; with the recent signing of this law, pharmacists can now furnish self-administered hormonal contraceptives (e.g. Depo-Provera, Paragard, Mirena, Implanon) according to standardized procedures/protocols developed and approved by the board and the Medical Board of California. Consulted organizations, such as the American Congress of Obstetricians and Gynecologists, CPhA, and other appropriate entities is authorized to ensure compliance and each board is specifically charged with the enforcement of this subdivision with respect to its respective licensees. However, this subdivision does not expand the authority of a pharmacist to prescribe any prescription medication. With the recent expansion to include furnishing self-administered hormonal contraceptives, pharmacists can now expand their contraceptive prescription dispensing to include medications with a reduced dispensing frequency (i.e. compared to oral contraceptives). My follow-up questions, however, relate to the standardizing of procedures and protocols – what are these standardized protocols and procedures and how do they work? How does the current drug shortage affect accessibility to self-administered hormonal contraceptives? How does the Affordable Care Act play into this? With this provision expanded, there are more questions I have regarding this provision than having a definitive answer regarding whether or not I approve this provision. Pharmacists must maintain records of all prescriptions dispensed for at least three years for purposes of notifying other health care providers and monitoring the patient. Pharmacists must notify the patient’s primary care provider of any dispensed prescriptions or enters the appropriate information in a shared patient record system. Pharmacists must be certified in smoking cessation therapy by an organization recognized by the board and complete one CE hour focused on smoking cessation therapy every two years. Recently presenting a continuing education presentation on smoking cessation at the Pennsylvania Pharmacists Association’s Annual Conference, I became immediately intrigued. Similar to the self-administered hormonal contraceptives, I’m also desirous to know more about the standardized procedures and protocols developed by the Board and Medical Board of California. Moreover, I would like to know if the “nicotine replacement products” includes only the nicotine inhaler and nasal spray; if so, I’m slightly disappointed that Zyban® and Chantix™ are excluded. Based on efficacy and administration, Zyban® and Chantix™ are superior to its nicotine replacement prescription predecessors: the nasal spray and inhaler. Recordkeeping and physician notification are to be expected with additional rules initiated; the educational background, however, is one I approve of. Currently, Tobacco Treatment Specialist (TTS) certificate programs exclude pharmacists; however, I anticipate TTS programs including pharmacists in the near future once these programs begin identifying the documented value of pharmacists and their positive contributions in reducing the incidence of people who smoke. For TTS programs to expand their granting of continuing education credits to pharmacists would be predictable and appropriate to institute. Provisions are now made where tests that are ordered are to be appropriately conducted in coordination with the patient’s primary care physician, which also includes faxing the results over or entering the results in a patient record system (S.B. 493 §4052(a)(12), 2013). Succinctly put, this provision makes sense for pharmacists to monitor narrow therapeutic index drugs such as levothyroxine, warfarin, as well as medications that require closely monitoring its levels, such as digoxin, vancomycin, and aminoglycosides. Since pharmacists have been educated about pharmacokinetics (i.e. how the body affects the drug(s) in regarding to intake, processing, and elimination), the sensible move would be to centralize lab monitoring to the pharmacists. Pharmacists are allowed to provide immunizations as directed. With Pharmacy Practice Law enacted, a pharmacist may independently “initiate and administer vaccines listed on the routine immunization schedules recommended by ACIP, in compliance with individual ACIP vaccine recommendations, and published by CDC for persons three years of age and older” (S.B. 493 §4052.8, 2013). Before doing so, a pharmacist must complete an immunization training program endorsed either by the CDC or ACPE that at least includes hands-on injection technique, clinical evaluation of indications and contraindications of vaccines, and the recognition and treatment of emergency reactions to vaccines, and shall maintain that training. They must also obtain basic life support certification and comply with all state and federal recordkeeping and reporting requirements. Finally, a pharmacist administering immunizations may also initiate and administer IM epinephrine or diphenhydramine for treating a severe allergic reaction. I personally am ecstatic that pharmacists in California now can immunize anyone above the age of three. The implications are significant. The concern for immunization schedule compliance will diminish since pharmacists will ensure timely vaccinations as the percentage of adults and children receiving their scheduled immunizations will increase; furthermore, with enabling pharmacists to administer immunizations as scheduled, the pharmacy department has a supplementary revenue channel. Because more patients will be immunized, patients will be prevented from debilitating ailments such as hepatitis, meningitis, tetanus, diphtheria, pertussis, and influenza. Earlier this year, I defended the competency of pharmacists’ ability to administer immunizations after an unintentional public attack from Live with Kelly and Michael; pharmacists receive intense training through the American Pharmacists Association’s Immunization-Based Delivery certificate training program which includes all the requirements mentioned in §4052.8. My only concern deals with administering immunization to our pediatric patients, as most pharmacists lack experience in administering pediatric immunizations. If there’s a way how pharmacists with minimal experience in administering pediatric immunizations can obtain additional experience, then I can foresee this provision increasing the overall quality of life for California residents. *Have provided clinical services to patients for at least one year under a collaborative practice agreement or protocol with a physician, advanced practice pharmacist, pharmacist practicing collaborative drug therapy management, or health system. *Initiate, adjust, or discontinue drug therapy. Pharmacists who initiate, adjust or discontinue drug therapy must notify the prescriber via facsimile or entering the appropriate information in a shared patient record system; if pharmacists initiate or adjust controlled substance(s), they must personally register with the DEA. With regards to tests that are ordered and interpreted, they are to be appropriately conducted in coordination with the patient’s primary care physician, which also includes faxing the results over or entering the results in a patient record system. With all of these provisions, however, advanced practice pharmacists cannot interfere with a physician’s order to dispense a prescription as written. With the implementation of S.B. 493, one of the major components that have recently been added is the “advanced practice pharmacist.” Given its lengthy addition, I will break down each section and provide comments based on them. First, the criteria. Let’s use the Board Certified Ambulatory Care Pharmacist (BCACP) offered through the Board of Pharmacy Specialties as an example to illustrate the point. By becoming a BCACP, the pharmacist has fulfilled all three criteria, assuming they’ve completed a PGY-1 residency and a PGY-2 specializing in ambulatory care. What about for those who only completed only a PGY-1 residency, or didn’t even pursue residency training, yet have the desire to test for becoming a BCACP (with the latter scenario depicting my case)? Because of these requirements, pharmacists who haven’t completed a PGY-2, or even a PGY-1, may end up only completing the third criterion for becoming an advanced practice pharmacist in California. I understand that in a few cases that a pharmacist who graduated may very well end up practicing immediately in an ambulatory care environment; nowadays, those numbers are hard and few to come by. With the Delivering Medication Therapy Management Services certificate offered through the American Pharmacists Association, however, pharmacists receive knowledge and activity-based learning to begin their pursuit of obtaining the BCACP. Whether or not they want to advance their career is another question. So to summarize, I think the requirements are fair, but there should be additional opportunities for pharmacists who have not completed residency training to advance their career. Secondly, the functions of an advanced practice pharmacist. This is a breath of fresh air! These tasks are what we went to pharmacy school for, and for these to be granted is a triumph in the field of pharmacy. Enabling the second most trusted profession to execute these tasks in improving patient health, decreasing unnecessary healthcare spending, and increase overall quality of life? That’s what pharmacists do! Even though S.B. 493 won’t take effect until January 1, 2014, pharmacists and pharmacy organizations throughout California can rejoice in what has taken months to pass through office and years to become a reality. As Steve Gray, PharmD, JD, and CSHP President said, “The enactment of SB 493 is a major accomplishment that will allow California pharmacists to help all Californians receive better, safer medical care. Pharmacists will also be able to help relieve the stress during the shortage of primary care physicians as they provide access to high quality care for a growing number of patients. We owe a special thanks to Senator Ed Hernandez and the coalition of pharmacists and others that enabled this success.” It’s an absolute honor to be a pharmacist; for those in California, that honor can now be doubled. Poised to tackle the current health care detriments, pharmacists can begin driving down healthcare costs, improve the lives of their patients, and reclaim the title of being the most trusted healthcare professional nationwide. With 2014 only months away, I await for the New Year’s ball to drop in Times Square, sporting events and wrestling pay-per-view events to be marketed (yes, I know wrestling pay-per-view events are scripted!). More importantly, I anticipate beholding the positive effects of S.B. 493 for California pharmacists and its citizens, as well as anticipate other state bills such as this to be passed in other states nationwide. CSHP. (2013, October 1). VICTORY – SB 493 Signed Into Law. California Society of Health-System Pharmacists. Retrieved October 11, 2013, from http://www.cshp.org/post/victory-sb-493-signed-law. Pharmacy Practice, Cal S.B. 493, 469 (2013). Brian Catton is a dual-licensed pharmacist in New Jersey and Pennsylvania, pursuant to obtaining his third pharmacist license in Washington DC. He is currently a member of the New Jersey Pharmacists Association and the Pennsylvania Pharmacists Association. His specialties include hypertension, hyperlipidemia, diabetes, medication therapy management, pain management, and public relations. He recently accepted an offer to practice pharmacy outside the Cherry Hill, NJ region.